Since I have relocated to a new town in Cambodia when I've decided to join a new company, I've noticed that the new place where I am now is much into beads and stones. Later only did I discover that this is the mining place for stones in this part of Cambodia. I have seen a lot of stores selling different kinds of stones and since this is the place where these stones originated, I'm quite sure that these are much cheaper here. I was actually interested before to learn how to design jewelries. Now, I'm thinking that should I I have pursued that interest before, perhaps now, I would be a able to make my own designs out those precious stones that are being sold here. Perhaps, I could make it as a home business, too. I have seen some bead bracelets at SoIcyJewelry.com, an online shop selling various kinds of jewelries. 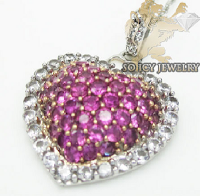 They have both low and high end items which are also available at wholesale prices. 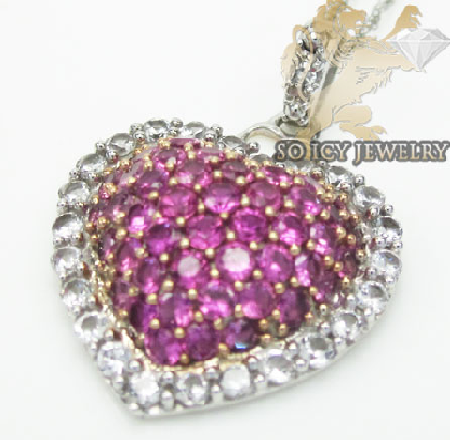 I've spend quite sometime browsing through their ladies diamond jewelries and watches and I fell in love with the white gold necklace with a pink sapphire heart pendant.